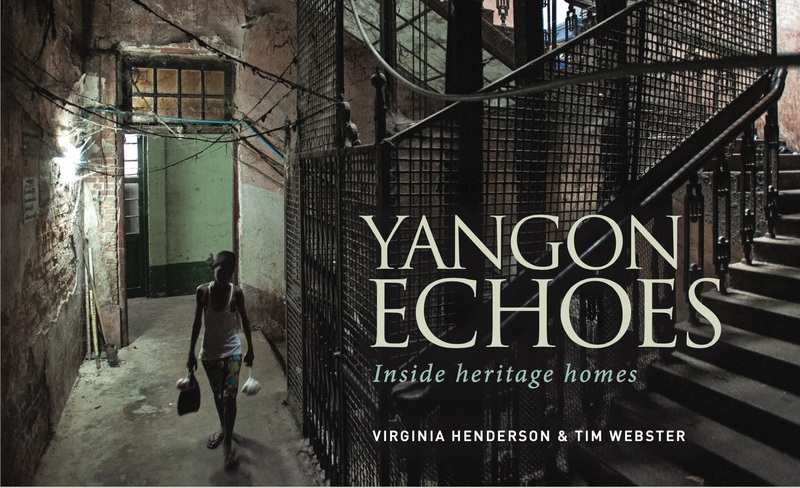 An interview with Virginia Henderson and Tim Webster by Nance Cunningham Virginia Henderson and Tim Webster’s book, Yangon Echoes, does not highlight the grandest, best preserved examples of Yangon’s heritage buildings. Nor the humblest, most fragile ones. Nor the mixed and smudged range from Strand Hotel to dangerous heap. 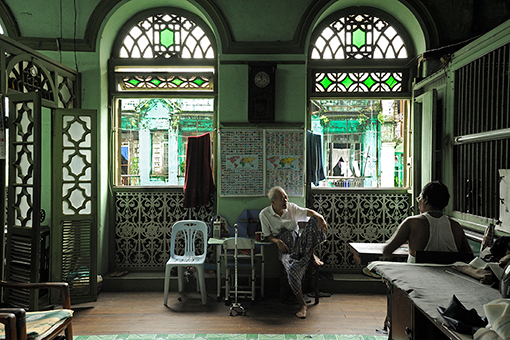 While architectural heritage is the theme of their book, the people are its centre. That said, the photographs of the buildings as well as the people are fascinating as well. To make the book, they crept down hallways, peered around corners, knocked on the doors of strangers. Virginia: A few people thought we were developers at first. Some people didn’t want to talk, but most did, and even the ones who didn’t would usually invite us in for tea. We live downtown, and that was key. We cycle around, people see us in their streets. Some people were cautious about sharing their stories. We respect that. We visited everyone in the book multiple times, we got to know them all. Some of them we still see. It was about letting people have their say. Tim: Speaking to old people, because of the paucity of research, was invaluable. All that knowledge is in people’s heads. It’s subjective, but the information is there. V: The older people who have the memories were really pleased when they realised what we were up to. People keep getting diverted by the buildings — they want to put a plaque on something — but the intangible is important. They were pleased to share their knowledge, they knew it was valuable for the people. T: Sometimes you get a really different view of history. Rather than hering again about Aung San being shot, we heard the story of a girl who was at school nearby, who heard the shots. We heard about her being taken by the hand and walking all the way home, through the grounds of the Shwe Dagon.